A wolf may be in the process of settling in the nature reserves of the province of Drenthe, Dutch forestry commission Staatsbosbeheer said on its website on Tuesday. Confirmed sightings of a wolf have been reported over a period of months but a wolf is only considered to have established a territory if he stays in the same place for a period of at least six months, Staatsbosbeheer says. More research is necessary, the forestry commission said, for instance to find out if the sightings are of the same wolf or that various wolves are roaming the area. âWe have a number of cameras in place but it wonât be until we find âterritorial markingsâ, i.e. wolf droppings, that we can do DNA tests and find out if weâre dealing with a particular wolf or wolves , and if they are staying,â wolf expert Aaldrik Pot said. 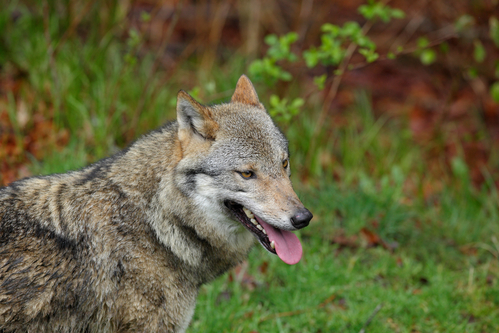 The return of wolves in the Netherlands and the rest of Europe is not without controversy. Only last week eleven sheep, were thought to have been killed by a wolf over two consecutive nights in Groningen. Pressure on Brussels decision makers to allow the animals to be shot is said to be mounting. But according to wolf monitoring site Wolven in Nederland, there is room for around 20 wolf packs in the Netherlands and sheep famers must adjust their farming practices to teach wolves not to go after their sheep, for instance by putting up electric fences. The wolf spotted in Drenthe, however, has not attacked any sheep, a further indication the wolf may be settling and is getting to know its territory and the prey it can find there. âItinerant wolves often grab a sheep but his wolf seems to be conc entrating on wildlife,â Pot said. Wolves commonly eat roe deer, wild boar and young red deer.